Electronic breaches take place when unencrypted personal information lands on the hands of a fraudster. There are various types of electrical data breaches such as skimming, hacking or malware or even the loss of a debit or credit card or computer. It is thus important especially for businesses to learn how to protect data from breach. As much as your clients are the biggest asset to your business, it is important that you train your employees on how to handle data security. A well trained employee base will translate to satisfied customers. Educating employees on what sort of information they should handle and their responsibilities will greatly help to avoid internal data breach. It is unfortunate that most employees use office computer to carry out tasks that are not even work related. A control system on the use of computers would help avoid data breach. You can do this by restricting the usage of inappropriate software. Blocking access to inappropriate sites is also another way on how to protect data from breach. This is one of the best ways that has proven to yield great fruits with regards to data breach. All office computers should be installed with a password known only to employees. The computers should prompt the user to re-login after some period of inactivity. Employees should be well informed never to leave laptops unattended to. To keep this method working best, passwords should be changed often. Various types of information are brought to office computers via different means. As such issues such as anti-virus, spyware and firewalls should be updated not just often but on a daily basis. Another way on how to protect data from breach is by simply encrypting all sorts of data transmission. This is also to say that only data that has been encrypted is what should be downloaded to portable devices. 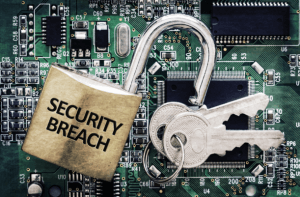 Should a firm or company follow the above procedures on how to protect data from breach, it can rest assured to stay safe with regards to data breach. What Is Dynamic Data Breach?